The perfect balance between the greenery of the age old pine forest - once reserved for hunting - and the deep blue waters of the Tyrrhenian Sea helps to make the Villagio Club Cecina the ideal place in which to spend a peaceful and relaxing holiday, taking full advantage of the sports and other forms of entertainment on offer. 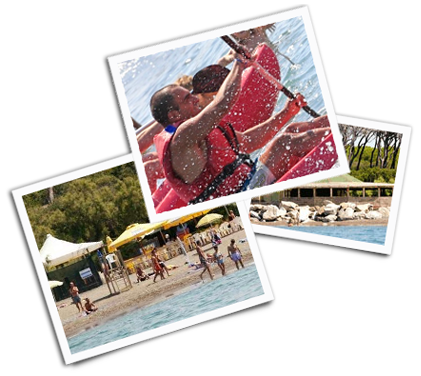 Villaggio Club Cecina: Accommodation, Recreation and Children’s Entertainment Area, Sports Facilities. Small pets are allowed within limits. Services: Car park, Safe Deposit Box, Nurse, Mini Market, Newspapers, Tobacconists, Coin-operated Washing Machines and Dryers, Laundry. Beach: Sand and pebble beach, umbrella service not included. Beach with sea terrace and evening piano bar.